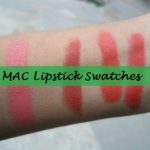 Here comes the swatch post again! 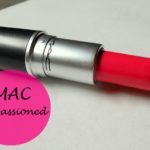 MAC has so many good red and pink shades in its permanent lipsticks range that its just not possible for a store to have them all at one time. I always come across some new shades everytime I pay these stores a visit. Actually I change the store everytime! 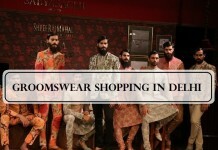 Sometimes its Select City Walk or Pacific Mall, the other times its Ambience or DLF Promenade. 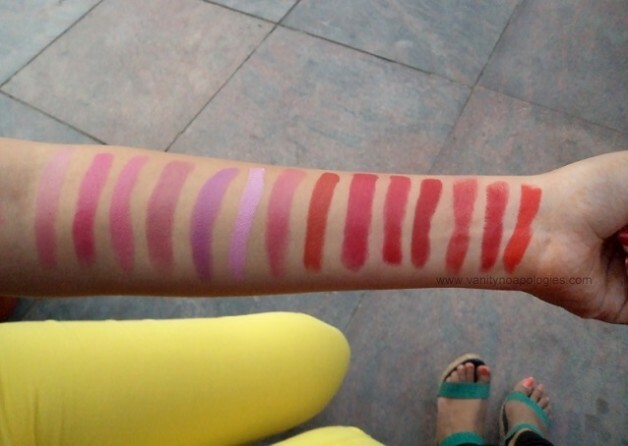 Today I got some swatches of the entire Viva Glam range and the new Huggable Lip Colour collection! Patience girls..those swatch posts will follow soon. 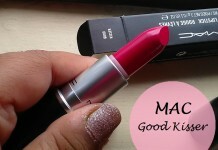 But today I’ve some of the most favourite and infact almost all the good red shades from MAC. 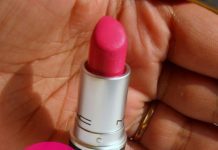 And since I had some arm space left, I collected some pink ones too to add to the post I did before: MAC Pink Lipstick Swatches. I took a lot of of swatches..some in direct sunlight and the others in natural light. So I’m putting all of them up. Chili: an orange based brown red. Follow the link for full review. Red: such a pretty shade! I wonder why nobody talks of it. Its a carrot pink based red and one of my favourites. Brave Red: Well you don’t need to be a lot brave to carry it. Its a nice creamy warm red. 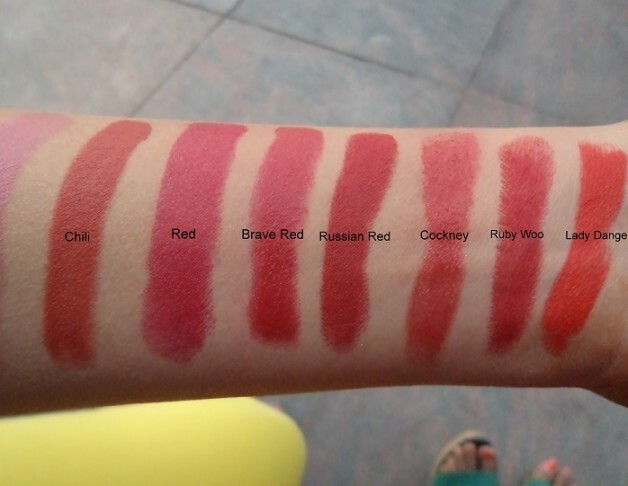 Russian Red: A deep creamy warm red. Follow the link for full review. Cockney: A lustre warm red with sheer finish. 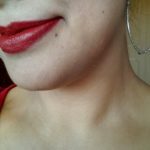 Ruby Woo: Cult favourite and my love! Retro matte finish in blue based red. 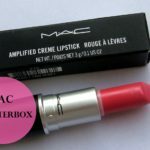 Lady Danger: A bright orange toned red. Quite a hit. 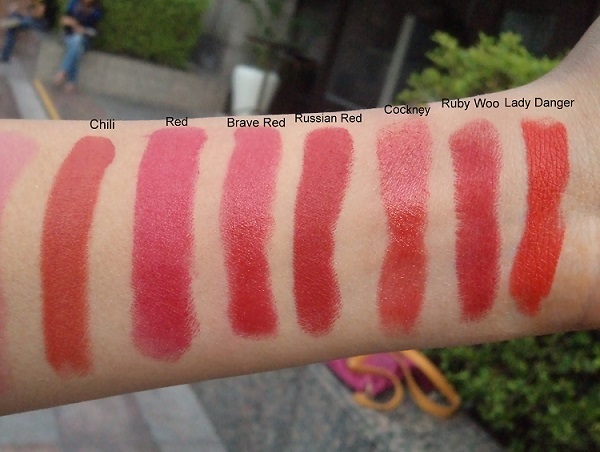 I swatched it with So Chaud today and they looked quite similar. 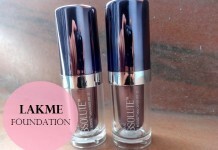 Follow the link for full review. 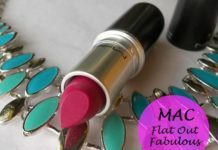 These are infact the best red lipsticks MAC has. The are a couple of others but those were OOS. 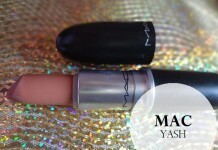 I want MAC Red next. 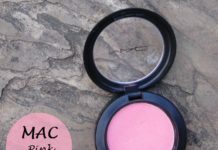 Lovelorn: A sheer dirty pink. A lighter version of Cosmo and Mehr. Lickable: A bright deep raspberry pink. Reminds me of Girl About Town. 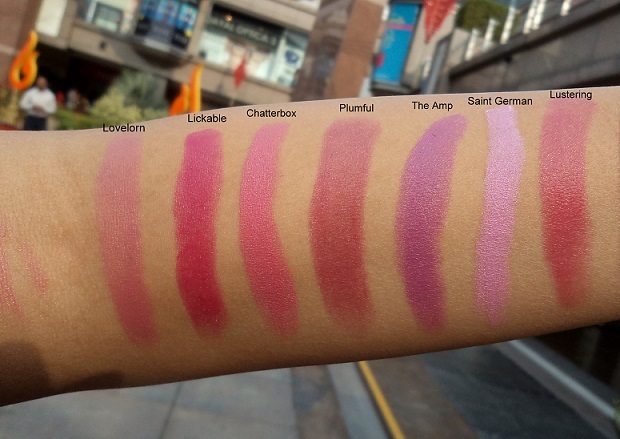 Chatterbox: A true pale pink which suits fair skin tones. Follow the link for full review. Plumful: A plummy pink. Suits dark skin tones a lot. Up The Amp: a lavender purple. Quite different from plums and raspberries around. Saint German: A very light and cool toned purple pink. So Nicki Minaj. Lustering: A lustre plummy pink. A lighter version of Plumful. MAC has a lot of plums and berries. Although those are not my cup of tea but I’m liking Lickable a lot. Who says you can’t have fun while you work? 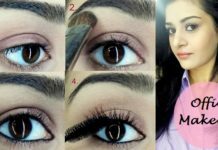 Infact beauty blogging is such an enjoyable career. 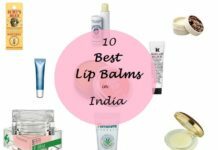 Shruti and I spent an entire day behind lipstick counters in MAC, Inglot, Lancome, Bobbi Brown, Sephora, Colorbar and royally pissed of the SAs by being Ms.Know-it-alls. I just can’t stop myself from correcting those MUAs whenever they get a fact wrong. 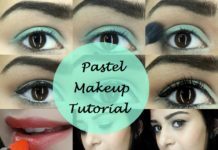 Its criminal to say “very pretty shade. A hit in our store. 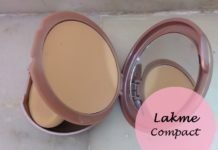 Suits all skin tones” to every damn shade and shove it in your face. But it was hilarious and fun. 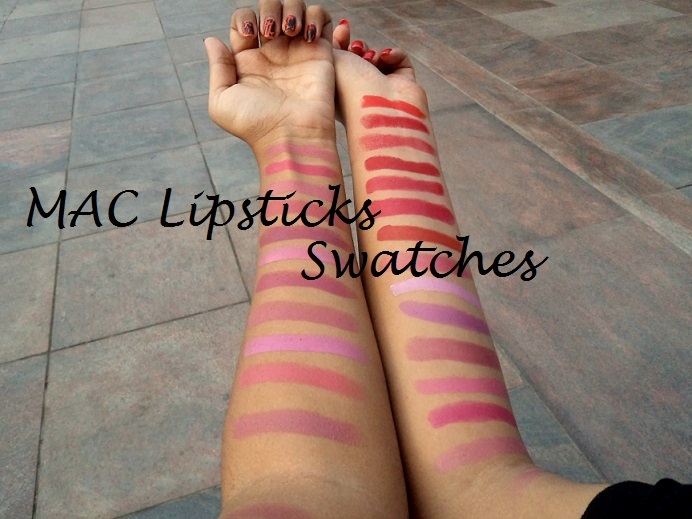 So you girls can look forward to more such swatch posts coming soon! 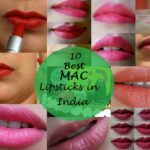 wow.. so many MAC lipsticks..nice to see them all..
ooooh lovely swatches! I’m loving the reds! Oh my! 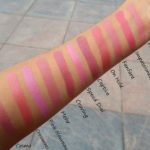 Beautiful swatches, love them all! wowww…so many shades!!!!!!!! 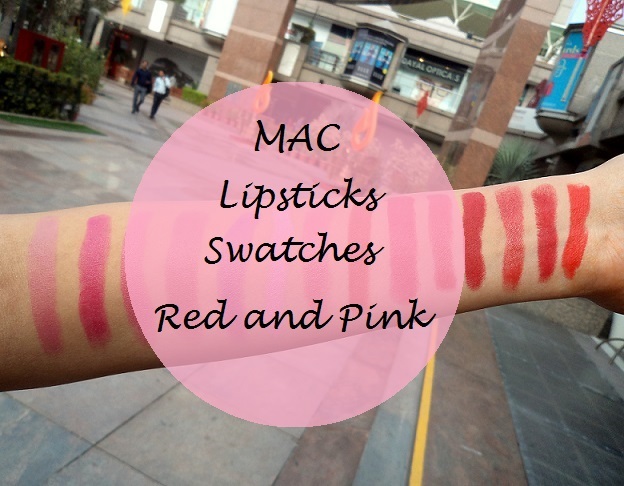 i have ruby woo and love it..but really want to try some pinks from MAC next time..such accurate swatches!!! i know..i photograph again n again till i get them right! 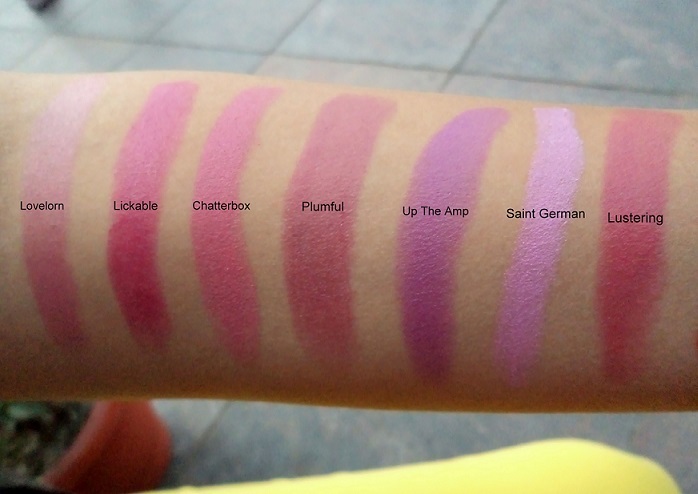 Plumful is my fave!! 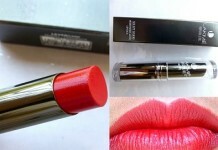 I so want Lady Danger! Just one word – Wow !! I own some of those lipsticks.You have a pretty shades collection! 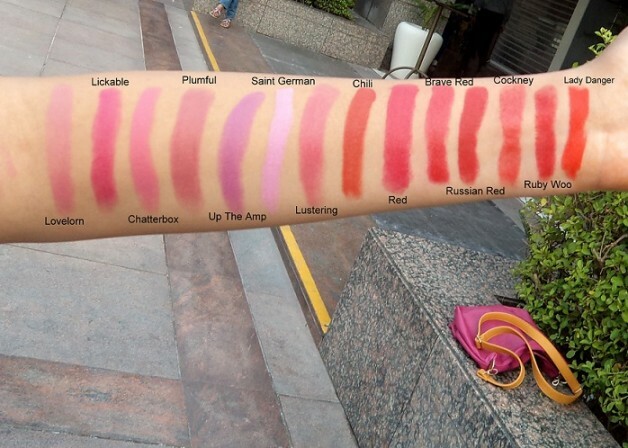 wow.. so many swatches in one go. nice. Meghana recently posted…I Found My Skull Ring ! Oh nice to see them all in 1 post. Makes it easy to choose! 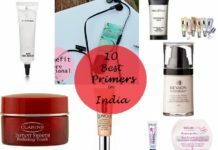 Richa recently posted…Best of Vellvette box/bag/Fab bag 2013!